Dominic Oduro has turned heads this season with his incredible form. Since arriving in Chicago, the mercurial striker has scored twelve goals and is in the running for the league’s Golden Boot race. Oduro has turned his speed and tactical awareness into a deadly weapon that many teams in MLS are taking notice of. He’s become the team of Chicago’s ever-sharpening spear. 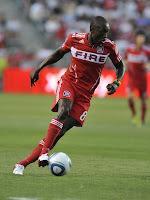 As the Fire continue in their fight for a playoff spot, they know every game is a must win. Oduro has become essential to this push. The team is playing some of their best soccer of the season and I spoke to Dominic about his stellar form and his contributions to the Fire’s chances. Here’s what he had to say. MLS Reserves: Can you start off by discussing how the season has gone for you thus far? 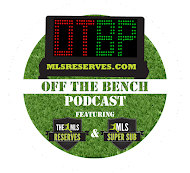 MLS Reserves: Leaving the Houston Dynamo and then finding success with the Fire, what was it that changed for you? What do you attribute that success to? MLS Reserves: You’re in the mix for the golden boot this year; does that enter your thoughts at all? Is it something you think about? MLS Reserves: Your speed is obviously an asset, what other aspects of your game do you look to improve? MLS Reserves: With the Fire seemingly coming into form at the right time, how is the locker room? I asked Dominic his thoughts on Frank Klopas becoming the full time head coach. While he wasn’t inclined to say one way or another what Klopas was thinking, he did lend his support for the Interim Coach. Oduro feels Klopas has been a positive influence on the club and that he trusts management of the club to make the right decisions moving forward. We went on to talk about what it's been like for him moving into Chicago and bonding with the club. In particular I asked him to talk about the fanbase. Needless to say, he has been impressed. MLS Reserves: Can you talk a bit about your relationship with the fans since coming to the Fire? Regardless of how the Fire end up at the end of the season, it’s clear that Oduro has found a home in Chicago. His performance shows his confidence and that confidence has come from the faith his teammates and fans have shown in him. It will be interesting to see where he goes from here. With the Fire so happy with him, that continued confidence could take him to new heights. Regardless, fans around MLS and Chicago in particular will find themselves watching him closely. 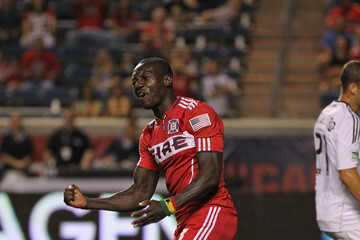 Goal-scorers are always exciting and Dominic Oduro is no exception.